This Is Why A Coconut Tree Is Coined As The "Tree Of Life"
Cocos nucifera, or more commonly known as “coconut” is prevalent in the tropics. Botanically speaking, a coconut is a “drupe”. 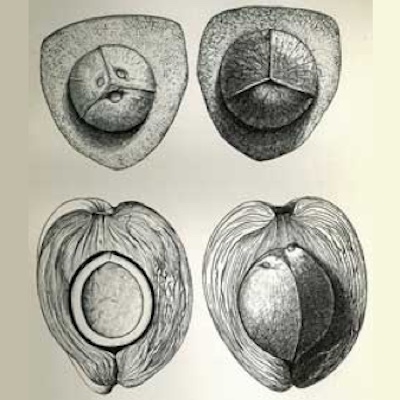 Technically, a drupe describes a fleshy fruit with a central stone (ex. plum, cherry, olive). To help you understand it better, see the image on the right. However, coconut is commonly classified as a fruit, a nut and a seed, and none is wrong. Coconut is rich in vitamins, minerals and fiber and provides many health benefits. Coconut is popular because it is not just consumed as a food, but it is also used for medicinal purposes and hygiene. Today, coconut is widely produced in some countries for commercial, industrial and household use. As mentioned earlier, each part of a coconut has its own use. We will break down the coconut’s major part and how it is used, and what health benefits you can get from it. Coconut water mostly makes up the whole fruit itself. Although the water tastes sweet, or sometimes bland depending on the variety, it is very rich with many important nutrients. 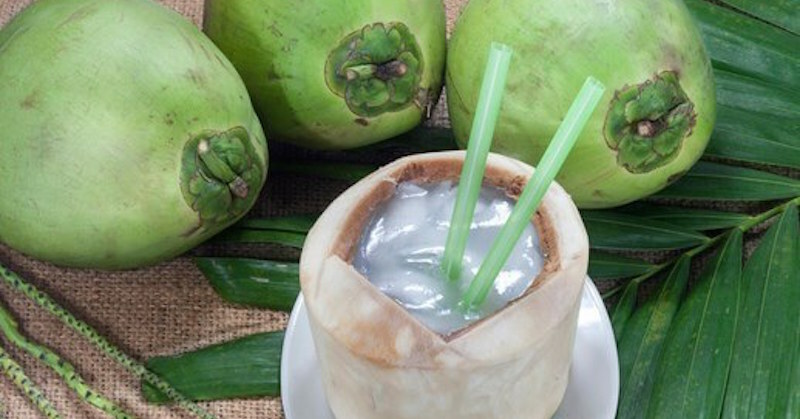 If you like to drink fresh, sweet coconut water, the Thai coconuts are the best, or look for the “pandan” variety. The above image is of a young coconut, when you can enjoy its fresh coconut water and flesh. Anti-aging: Our body is susceptible to harmful free radicals that cause oxidative stress, premature aging and other degenerative diseases. Coconut water contains high levels of antioxidants that are helpful in protect the body from these harmful agents. Hydration: Coconut water is found to have the highest concentration of electrolytes, which as we all know, replenish the body’s lost fluids. Coconut water is also considered as nearly identical to human blood. This is due to the fact that coconut is a natural water filter itself, making its water absolutely pure and sterile. So, instead of grabbing a commercial energy beverage after a workout, consider drinking fresh coconut water as a healthier alternative. Magnesium-rich: Coconut water is rich in magnesium content that is necessary in protecting heart health, decreasing blood sugar levels, reducing muscle cramps and many other ailments. Prevents kidney stones: Kidney stones are a very painful ordeal. This occurs when you’re consistently dehydrated, combined with eating wrong kinds of foods that calcify and form stones in the kidneys. Based on scientific studies and research, coconut water reduces/ dissolves harmful crystalization and could help prevent kidney stones formation. Reduces cholesterol oxidation: Another great benefit of drinking coconut water is that it helps to reduce oxidation of cholesterol thus minimizing the risks of a heart attack which is much more potent and effective than prescription medicines. The above image is of an mature coconut, when the water has dried out and its flesh (copra) had hardened and used to extract coconut oil and coconut milk. Kills harmful microorganisms: 50% of the fatty acids found in coconut oil is lauric acid. Lauric acid is known to be effective in killing harmful bacteria, fungi, viruses and other pathogens, making it useful for preventing infections. Prevents seizures: Coconut oil contains Medium Chain Triglycerides (MCTs). Consumption of this oil turns MCTs into ketone bodies which help induce ketosis that is used to help treat epilepsy. Promotes healthy skin: Fatty acids found in coconut oil helps to moisturize your skin from the inside-out, thus it is an effective treatment for burns, eczema, dandruff, dermatitis and other skin problems. Weight loss: Coconut oil keeps you feeling full and with the help of MCTs, increases 24-hour energy expenditure as much as 5%. This in turn will result to increased weight loss over the long-term. Look up the 101 uses for coconut oil and how it may even help to reverse Alzheimer’s Disease. Coconut milk is not exactly milk. It is extracted from mature (old) coconut meat. From a young coconut, you can enjoy the benefits of its coconut water. As the coconut matures and ages, the meat dries up and hardens to become what you call coconut meat. Prevents anemia: Anemia is an iron deficiency. Coconut milk is rich in plant-based iron, and regular consumption of coconut milk can help prevent this disease. 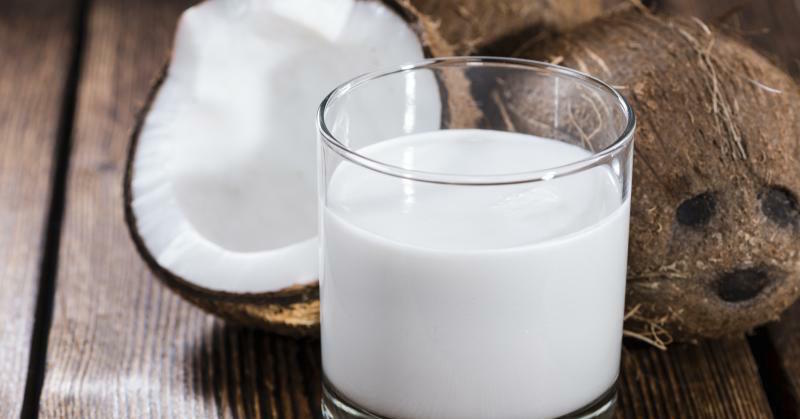 Prevents inflammation and arthritis: Coconut milk’s MCT helps lower inflammation and prevents joint pains and aches. 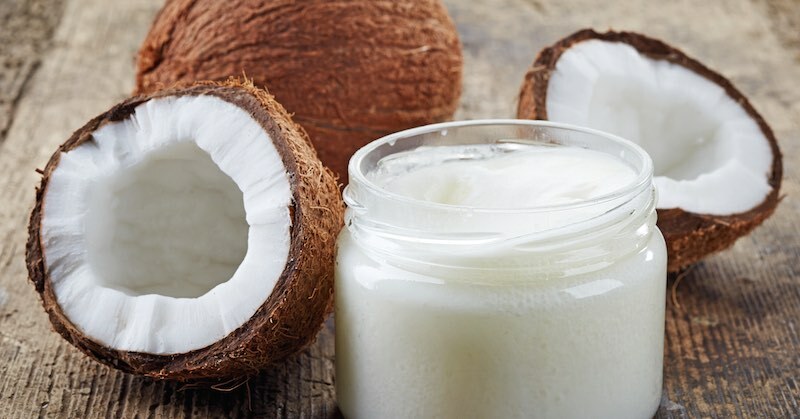 Promotes a healthy heart: Contrary to what many people think, coconut milk actually helps to reduce cholesterol oxidation and strengthens heart health. There’s more: Now there’s coconut butter! To be able to fully enjoy the health benefits of coconut, it is best to consume it fresh. It is not advisable to buy commercially-packaged coconut water since it has added sugar and preservatives.